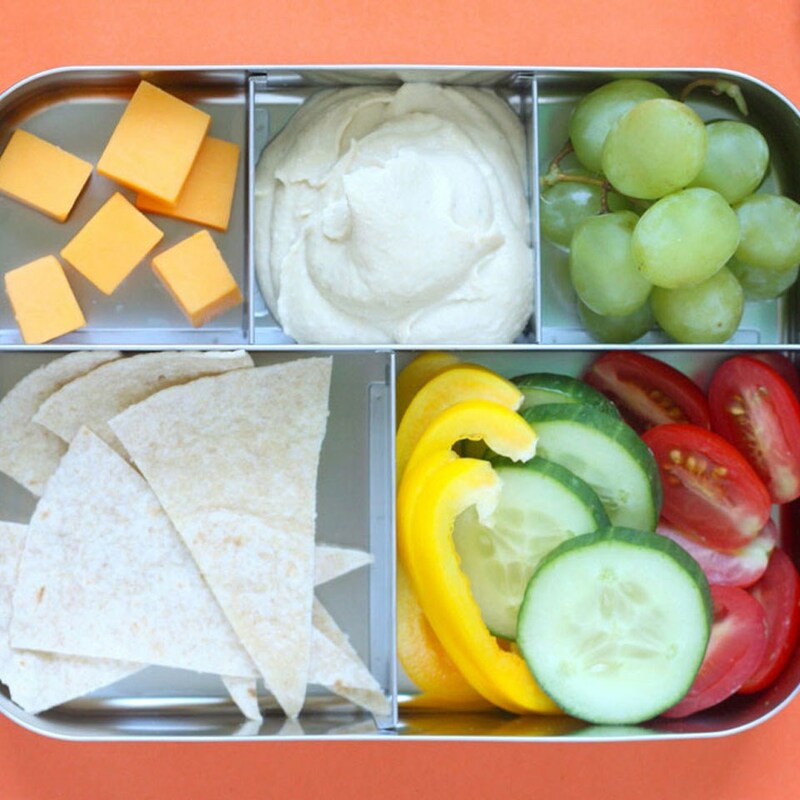 Pita wedges and crudité with hummus make a satisfyingly simple lunch box. 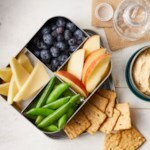 We round out this Mediterranean-inspired snack lunch with cheese and fruit. 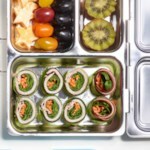 If your child likes olives, sprinkle some into the veggie dippers. 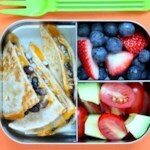 Pack pita (or tortilla) wedges in a medium section of a bento-style lunch box or in a medium container. 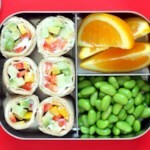 Pack bell pepper, cucumber and cherry tomatoes in another medium section of the bento box or in another medium container. 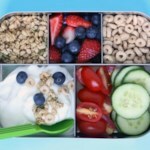 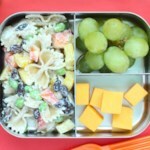 Pack cheese, hummus and grapes in separate smaller sections of the bento box or in small containers.